For heavy duty alloy lifting chains, we stock high tensile alloy steel chains that have been manufactured to meet your industrial lifting requirements. Crafted to satisfy the requirements in Australian Standard 2321 and 3776, our alloy chains and associated equipment are ready for immediate use. 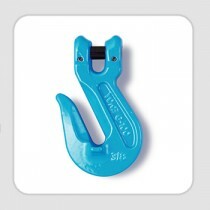 Our allow lifting chains and equipment are ideal for various industrial lifting applications. We stock pre-assembled chain slings, Herc-Alloy chains, and various links, hooks, shackles and clutches. Available in various sizes, with differing features. We stock the products you need to complement your industrial lifting apparatus. Our popular Herc-Alloy 800 chains are available in chain sizes ranging from 6 mm to 32 mm, and in a length of your choice. The chain conforms to the mechanical properties of grade 80 (T) chain. Note that we are an authorised PWB Anchor distributor and supply genuine Herc-Alloy 800TM Chains. We stock alloy lifting chains that have been sourced from experienced manufacturers in Australia and overseas that understand industrial lifting requirements. We supply test certificates for all stock sold to provide you with comfort that our products have been tested to comply with the stated specifications. Our demanding quality requirements ensure that our products will serve you well for your projects. Turn to Keble’s Trading for reliable-grade ALLOY LIFTING. Talk to us! We speak your language! We understand your business. Call us at 1-800-067-687 or fill out the contact us form below. No inquiry is too large or too small. We would love to be of service to you today!